What a great way to show your patriotism! This digital panel is an amazing portrayal of our National Monument. 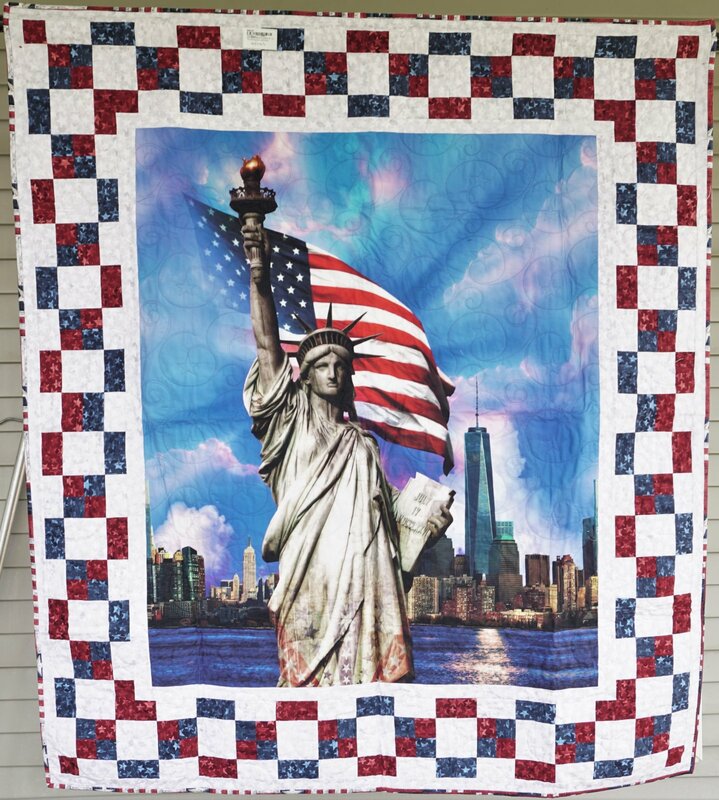 The panel is Robert Kaufman and is complimented with Northcott Patriotic Stonehenge fabrics. It is complete with matching back, hanging sleeve, and is long arm quilted edge to edge.